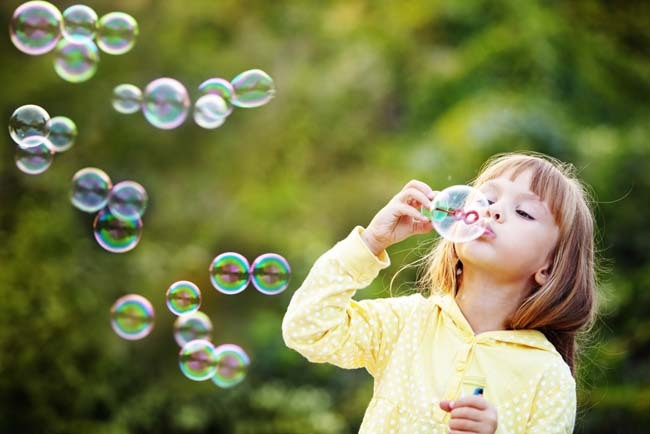 Summer is a great time for kids to get off their screens and get outside or do other activities. 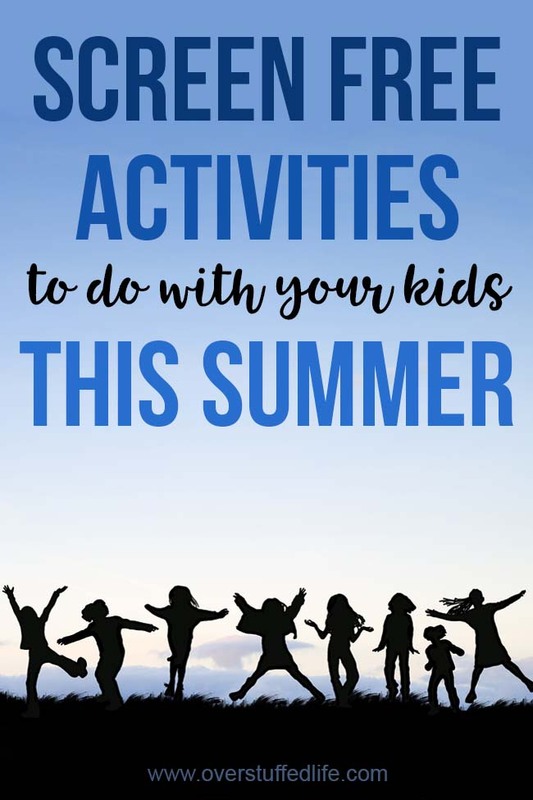 Here are 9 easy screen-free activities to do with your kids this summer. I'm all about limiting the screen time at my house. While I think that a little bit of screen time is absolutely fine—even beneficial—I do believe that too much screen time can be detrimental in many ways. During the school year it's fairly easy to keep the electronics usage down because the girls have plenty to keep them busy. Homework, practice, lessons, and other extra-curricular activities naturally make it harder for them to sit on the couch drooling over their iPods all day. But the summer is a totally different story, and summer is almost here. During the summer we always have a nice 1,000 piece puzzle in process. 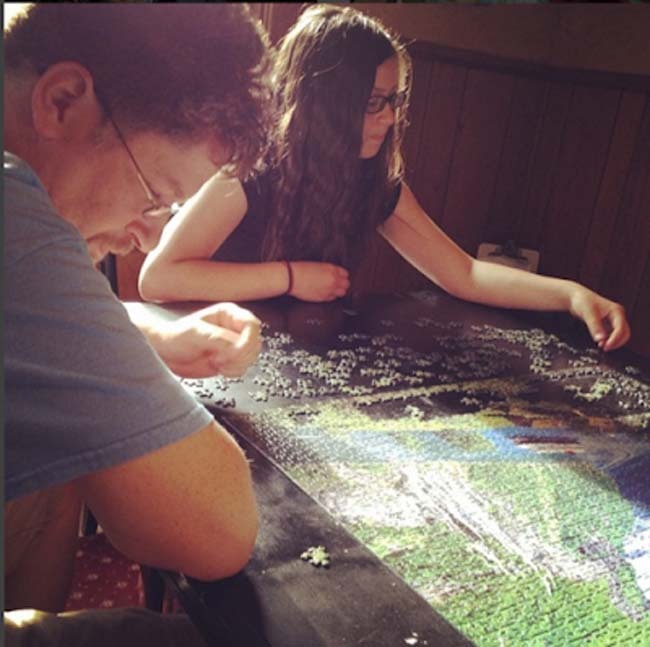 It's nice because if the kids have hit their screen-time limits and are feeling bored, they can always walk over to the dining room table and work on the puzzle for a while. Thrift stores are an excellent resource for puzzles since they are such a one and done sort of item. I especially love the Ravensburger 1,000 piece puzzles, and find them at thrift stores pretty regularly. We've done this Norwegian Fjord puzzle (pictured above) and I have this one all ready to go for this summer. My kids love doing creative projects, but they don't always know what to do. I try to keep lots of general craft supplies on hand like craft foam, buttons, and plenty of glue but they still don't always know what they want to do with it. I try to troll Pinterest for fun projects that my girls will like and point them in the right direction and then work with them on the craft if they would like me to help. Also, I just recently discovered the Kiwi Crate boxes, and they have a Doodle Crate available that my girls will love. I'm going to have a few on hand this summer for some fun projects to do together. This isn't something I have done a lot of with my girls, but I would like to be better about it. Science fair time is excruciating because they don't think it's very fun and I really want to change that. I am thinking that doing science projects for the fun of it during the summer will go a long way toward changing their attitudes about the scientific process. I'd really like to get to the point where when they ask a question about something that we can turn it into a science project to answer the question. Time to start really listening to their questions! Kiwi Crate also offers a box called Tinker Crate which offers some great scientific and building projects for kids. I'm a huge advocate of summer reading, but sometimes telling the kids to just go read a book receives a lot of push back and complaining. I read out loud to them as much as I can, but even that gets old. This summer I want to do a project to see how many states and countries we can "read" as a family. So every time someone reads a book (whether by themselves or one I read to them), we will keep track of where it takes place and put a pin on our reading map. I'm hoping the idea will get my girls more motivated to take time to read. We have a ton of local gems—small day hikes, beaches, fun rock shops, museums etc.—and I bet you do, too! It's easy to never see half of the great things around the place you live because you don't feel the urgency. If everyone is bored one day, get in the car and go see something new! Chances are you'll learn something new, too. Letterboxing is a really great way to find local places of interest. When my kids were smaller we did letterboxing all the time—we don't do it as often anymore because we have found most of our local letterboxes, but we like to find a few when we go on road trips. My youngest daughter absolutely loves to write, so I'm thinking about her for this activity. I want to help her outline a story and then help her get it all written so we can print it out and then she can illustrate it. What a fun project for summer that will also keep her writing and thinking chops fresh for school. Do your kids have a favorite meal that you make? Teach them to make it themselves. My girls love my chicken enchiladas, so I'm going to teach them how to make them this summer. We will spend time together, they will learn a new skill, and maybe I can assign them to make dinner every couple of weeks to boot. We did this a few times last summer and had a great time. You can print out my scavenger hunt list here: Nature Scavenger Hunt. You can also easily come up with your own ideas. You can focus on creative photography, too, and teach them all of the ways to improve their photo composition as they find the items on the list. We made some vision boards for the whole year, but summer is a great time to set new goals. You can see how we did ours by clicking here: Make Vision Boards With Your Kids. 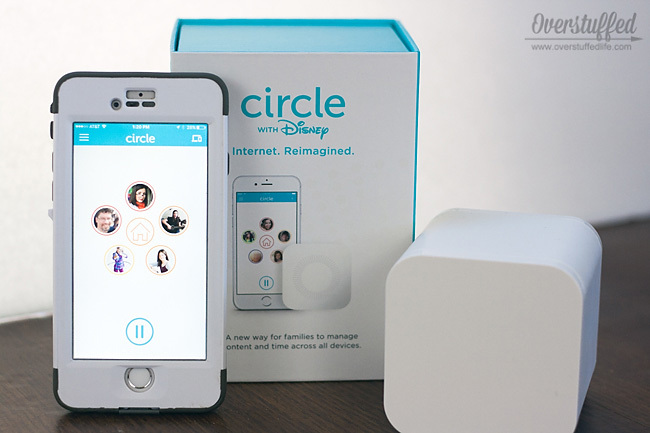 This little device has changed my life as a mom, I'm not even kidding. 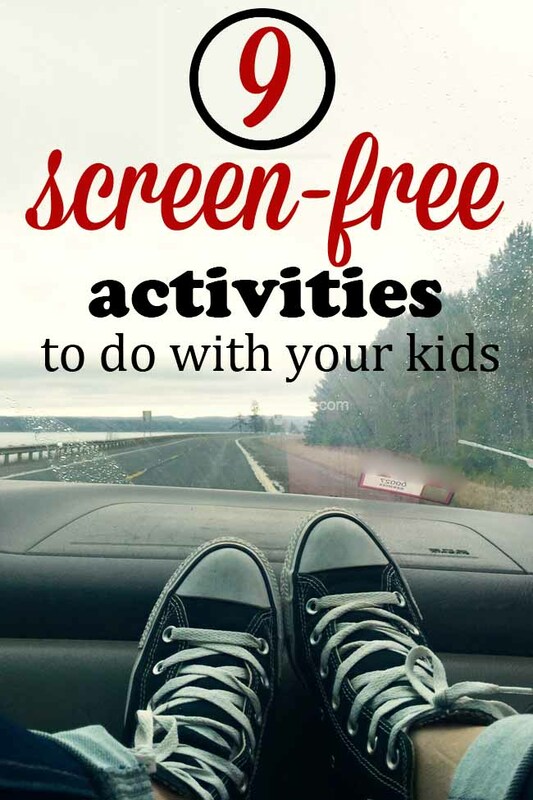 I LOVE how easy it is to police screen time now, which gives me more time and energy to do fun things with my kids!